The Gala Opening Night for the Boulder International Film Festival was spread across two venues; The Boulderado Hotel and the Rembrandt Yard. Arriving right on time at the Boulderado, it was like a treasure hunt to find the party. Accompanied by an odd assortment of costumed film characters, we traversed the halls and stairwells to find…they weren’t ready yet! No worries, a short wait and then we were first in line to get our two drink tickets (beer or wine) and the first pick of all the appetizers! There was a lovely jazz combo in the corner and plenty of tables to enjoy our bounty. Passed hors d’oevres and many food stations meant there was plenty of tasty food and room to get to it. Wine was even served in lovely goblets. The Rembrandt Yard was another story, too small for the amount of people crammed in the space and an outside staircase crowded with party-goers trying to find their friends or at least make it to a beverage table. The gala attire ranged from full-length glittery ballgowns, suits and ties and casual Boulder attire (yoga pants, nice shirt and sensible shoes). Thrown in the mix was a Batman, Princess Leia, Stormtrooper and a staggering Zombie. There seemed to be a number of women wearing bejeweled headbands as if inspired by Carey Mulligan’s character in The Great Gatsby. With only a few cash bars and most people sticking to their two wine or beer limit, no one was getting out of order and it was a very friendly atmosphere even in the crowds. Ladies in high heels had the double challenge of icy streets and multiple staircases and I wondered how anyone with limited mobility could have attended the party. There was a fun New-Orleans-style marching band, The Purple Squirrel, performing outside to serenade us to the Boulder Theater. They were onstage at the Boudler Theater keeping the party going. The bar inside was crowded with folks trying to make-up for the light drinking earlier and the trek down to the seats was slow. Stand alone seats like you’d find in a conference hall were fairly comfortable but sadly, not staggered for optimal viewing and the floor of the venue was not “racked” enough to allow for clear sightlines. There was a lovely new screen and a recent addition of Real 3-D projection. With the digital package projection, the crew was probably not able to test screen the film so there were a couple instances when the sound blared out of the speakers and those seated on the sides all-but jumped out of their seats! The crowd was very forgiving and everyone seemed to enjoy the screening of The Faded Gigolo which oddly enough, was never introduced by our convivial hosts, Kathy and Robin Beeck. Leaving the Boulder Theater, we were greeted with the fresh scent of rain-washed streets and the glow of an almost-full moon. A few people seemed to be headed for a nightcap at one of the many local watering holes but for most celebrants, this was a weeknight and it was time to head home to bed! This was a successful evening for the 10th annual Boulder International Film Festival. 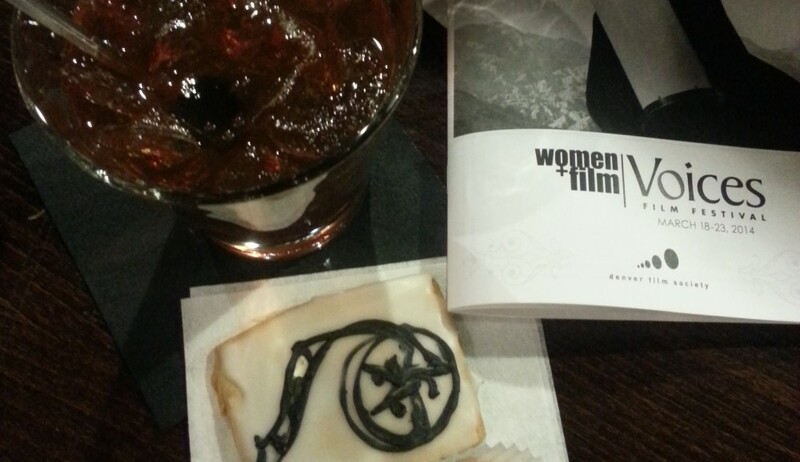 This entry was posted in Uncategorized and tagged Boulder International Film Festival by Jill. Bookmark the permalink.